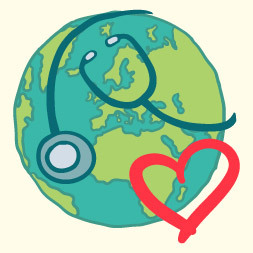 "Human Health 3" course examines the global health issues affecting the world today with a particular focus on the developing world. The interactive course considers a variety of topics such as, Women's Health, HIV/AIDS, and health in infancy, childhood and adolescence. It is ideal for those in health management, the medical professions, charity and community work, HIV/AIDS awareness, and women's health. After completing this course you will understand important global health topics such as oral rehydration therapy, breastfeeding, rural mortality rates, childhood health, and adolescent health. You will know the know the importance of women's health especially during pregnancy and old age. This course will help you to identify the projects that are created to effectively deal with challenges such as the prevention of AIDS and HIV. It was an informative course - learned something about the health issues in other countries. It was interesting to know how other nations in the world perceive things and how poverty and lack of education are a major influence today.